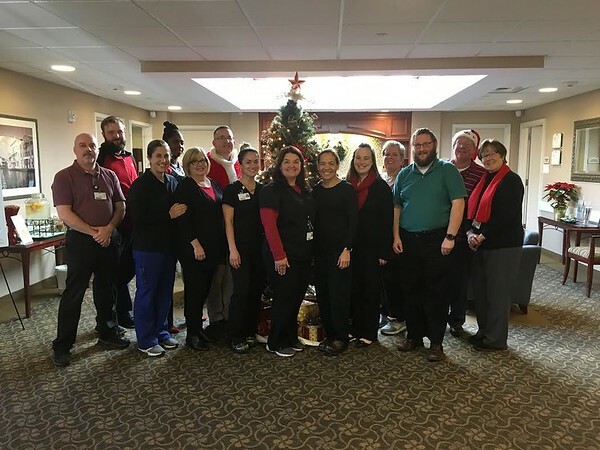 BRISTOL – The Pines at Bristol Center for Nursing & Rehabilitation aims to create a comfortable environment for residents, with friendly staff and top-notch service. The Pines, affiliated with National Healthcare Associates, took over at 61 Bellevue Ave. seven years ago. Since then, they have maintained five star quality rating on Nursing Home Compare and they have been recognized by U.S. News and World Report as one of the Best Nursing Homes in the U.S., earning their highest possible, five star rating as well. The Pines has also won multiple “Best of Bristol” awards. Ray Wilkens, who has been director at The Pines for the past two-and-a-half years, says that the staff working at The Pines are one of its greatest assets. The Pines has a floor dedicated to short-term care and three floors dedicated to long-term care. There are 132 beds in total at the facility, which Wilkens said are usually 97 percent filled. Those who are interested in coming to The Pines can arrange tours with Kelly Dube, admissions director. Wilkens said that The Pines “always stays on top of current clinical trends to meet the needs of Bristol citizens.” One of the more innovative technologies available at The Pines is NIOV, which they introduced last November. In recent years, with the shifting focus to in-home care and ambulatory care, people have been coming to The Pines who are sicker or have more complicated health-issues than in the past. Wilkens added that entertainment is also brought in for residents, including singers and choruses. Physical, occupational and speech therapy is also offered seven days a week. For more information on The Pines, call 860-589-1682 or visit pinesbristol.com. Posted in The Bristol Press, Central CT Chamber of Commerce, General Business, General News, on Tuesday, 22 January 2019 19:35. Updated: Tuesday, 22 January 2019 19:37.